The presentations from the HE4u2 symposium and the Autumn Seminar are available! Our member, the University of Vienna, has just published a book with chapters from our members University of Mainz, Maynooth University and the University of Barcelona. A total of four chapters are written in English (the rest are in German). 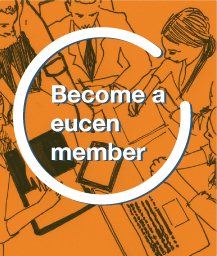 Still one week to register for the 2018 eucen Autumn Seminar!